In the world of high finance, top executives can walk away with seven- and eight-figure bonuses even after flushing their firms down the toilet. (Think, Bear Stearns; Lehman) But under a new Supreme Court decision, public interest lawyers who succeed in hard-fought federal civil rights suits are exceedingly unlikely to see any bonuses in the fee awards permitted under the law. The Supreme Court’s 5-4 decision last week in Perdue v. Kenny A. 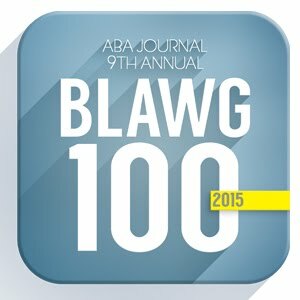 [April 21] threw out a $10.5 million fee award for a group of public interest and private attorneys for work over an eight-year period in a suit that succeeded in overhauling Georgia’s dangerous and dysfunctional foster care system. Lawyers in the case still stand to get at least $6 million for the nearly 30,000 hours spent investigating and litigating the suit. But the ruling represents a setback for lawyers who take on difficult institutional reform litigation with no assurance of eventual reimbursement and ultimately prevail, but only in the face of years of dogged resistance from government lawyers. In Kenny A., lawyers from the New York City-based group Children’s Rights teamed with attorneys from the Atlanta firm Bondurant, Mixson & Elmore in filing suit in 2002 on behalf of a class of 3,000 abused or neglected children in Georgia’s foster care system. Three years later, the suit resulted in a mediated consent decree requiring extensive reforms in foster care in two metropolitan Atlanta counties, Fulton and DeKalb. With the decree signed, the plaintiffs’ lawyers applied for attorneys’ fees, as permitted under federal civil rights laws. They asked for $14 million. Half of the amount was based on hours billed at prevailing rates in the Atlanta area. The other half was an enhancement based on superior work and results. Lawyers for the state, who had fought the case with every possible pretrial motion and dilatory tactic, objected to the proposed fee. After scrutinizing the fee application, Senior U.S. District Court Judge Marvin Shoob trimmed the basic amount to $6 million, but added a 75 percent enhancement based on, among other factors, the “extraordinary results” achieved. Shoob added that the lawyers had shown “a higher degree of skill commitment, dedication, and professionalism” than he had seen in attorneys in any previous case in his 27 years on the bench. That was not enough for the Supreme Court’s conservatives, who decided that Shoob had gone overboard in approving a 75 percent enhancement. For the majority, Justice Samuel A. Alito Jr. sneered at the fee award as a “windfall” for the lawyers. The decision marked the Court’s most extended discussion of when, if ever, a fee award can be increased because of exceptional performance or difficulties. In 2002, the Court endorsed an approach to fee awards developed in lower federal courts known as the “lodestar method.” That approach calls on federal judges to apply the prevailing rates for legal services in the area  the “lodestar”  to the billable hours documented by the successful lawyers. In passing, the Court indicated that enhancements might be permitted in extraordinary circumstances. Writing for the four liberal dissenters, Justice Stephen G. Breyer detailed both the difficulties in the case and the importance of the result in arguing for upholding the fee award. Evidence in the case filled 20 large boxes, Breyer said, and the record covered 18,000 pages. The suit documented unsanitary and unsafe conditions in foster care shelters and inadequate medical and mental health services. Children were at risk of assault or sexual abuse by other children or even by staff. In his opinion, Alito noted that attorneys’ fees in civil rights cases against government agencies are often paid for, in effect, by state and local taxpayers. The money used to pay the fees, he complained, “is money that cannot be used for programs that provide vital public services.” Tellingly, Alito expressed no concern about the money that the state spent litigating the case, including $2.4 million on outside counsel. In a footnote, Justice Alito added that if the $4.5 million fee enhancement had remained in place, the lawyers for the foster care plaintiffs "would earn as much as the attorneys at some of the richest law firms in the country."